I should also add in fear mongering! Remember when I told everyone about the enlarged portion of the brain that Conservatives have? (the part that controls fear and anxiety) Listen to Trumps speeches, he throws out scare tactics all over the place. Why because his base just eats that up with their brain defects! I watch Fox News and all over the place they too use fear tactics just like the president does. I guess they read the same articles too, about their bases brain defects. When are the Democrats going to start to exploit that weakness in the Republicans? You know what the biggest problem the Democrats have is, their just too nice! Get a little tough and they will start to win elections again. Let's get back to the Republican lies they are running on. The Republicans should be running on their accomplishments. I'll give them the biggest accomplishment they got is the courts. (but that doesn't get too many people very excited) The economy is another thing they could try to run on, but their base didn't really get that much of an improvement. (they might have a job at low wages, but their wages didn't go up very much) Their base doesn't own a lot of stocks either (in 2018 they made nothing even if they did own any) and the great tax cut went to the 1%ers. So what do they have to run on? I'll tell you what! Let's go over some of the big ones. The caravan of people coming from Central America is a good one. You get 2 for one with this one. You get the fear working overtime with this one. Trump and Fox News say's it full of MS 13 gang members and Middle Eastern terrorist. Their going to hit Tijuana and crash through the gates. Then causing mayhem all through out the San Diego area! Of course the Democrats organized this caravan and is going to welcome these people with open arms! Only Trump and the US army can stop them with the Republican Congress people blessing. What a crock! Once the Mid terms are over, you won't even hear much about them! This one was told by Trump recently. Did you hear about all the Rioting done in California? What Rioting I thought?? But when you tell the "Big Lie" it works better then the small lie. 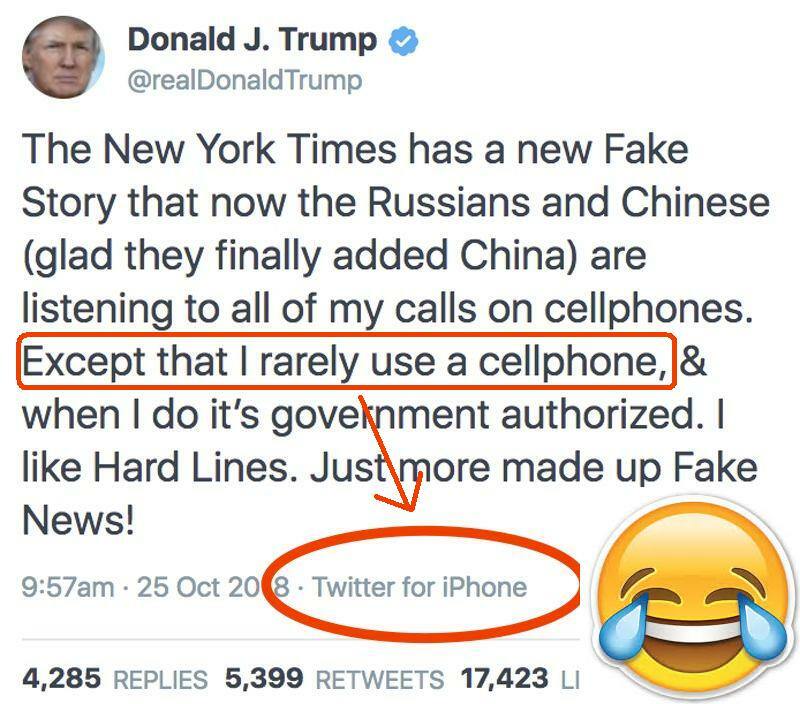 He's base must be really stupid to believe that one! You would see pictures all over the news if it really happened! Here's another lie Trump is telling. He'll have a middle class tax cut ready by Nov 1. Sorry but Congress isn't even in session. How dumb must his base be to believe that??? Here's the last big one their all telling. Trump, Congress people and the Republican Governors. The single biggest most important issue that has most people concerned is Health Care. (Obama Care leads the list on this one) Obama Care is more popular then any other single issue. Economy, Guns, Abortion rights etc. (this was conducted and confirmed by a Fox News poll) So what are these Republican going to do now? They voted to Kill Obama Care 70 times and promised if re elected to get it done this time. (plus there is also an law suit to kill Obama Care) Of course the single most important part of Obama Care (if you don't count giving 20 million people health insurance) is you can't discriminant against pre existing conditions. So what now are all these Republicans saying about preserving pre existing conditions. There all in favor of that, even though the only law that protects pre existing conditions is, (wait for it) OBAMA CARE!!!! Now how are you going to protect pre existing conditions and kill Obama Care at the same time??? You can't, so you are just LYING YOUR FACE OFF to your own constituents. So why on God's Earth do the Republicans control all branches of government is be on me. It's no guarantee they still won't after the Mid terms. But if they do, they got there by lying their hiney's off and the dumb Rubes believed them! Last edited by etucker1959; 10-26-2018 at 04:00 PM. Last edited by Natural Lefty; 10-25-2018 at 12:02 PM. And Rush Limbaugh is suggesting that these "pipe bombs" were being sent by Democrats to Democrats, as a "false flag operation" to get sympathy just before the midterm elections = more fear mongering. Here another lie Trump is telling. He'll have a middle class tax cut ready by Nov 1. Sorry but Congress isn't even in session. How dumb must his base be to believe that??? Here the last big one their all telling. Trump, Congress people and the Republican Governors. Damn, you give someone one item to discuss and this what happens. OTE=DarkShadow;798435]Damn, you give someone one item to discuss and this what happens. Last edited by etucker1959; 10-26-2018 at 10:18 AM.